EuroTurtle - a Mediterranean Sea Turtle Biology & Conservation web site for Science and Education is a result of collaboration between King’s College, Taunton and MEDASSET- The Mediterranean Association to Save the Sea Turtles. Since its launch in 1997, EuroTurtle has fostered linkages between conservation and environmental education and the first in Europe to be exclusively devoted to sea turtles in the Mediterranean. The site is packed with high quality information, graphics, photographs, work sheets, diagrams and scientific data. Most activities are interactive, on-line and cross-curricula and all have been fully tested in an educational environment. The activities are ‘turtle-orientated', although many of the issues raised apply to most other endangered marine species. facing sea turtles today. The website covers sea turtle biology; distribution of the seven species of marine turtle; threats; conservation efforts as well as accurate identification keys. Also included is a comprehensive sea turtle glossary, ‘Suzy’s’ Frequently Asked Questions and links to relevant conventions, environmental organizations and sites. EuroTurtle is also a portal for UK Turtle Code, a code for reporting marine turtle sightings in the UK. Awards and emails from users clearly show that the website has achieved its educational aims; with great international appeal. Copyright 2008, EuroTurtle All Rights Reserved. Permission is granted by EuroTurtle for classroom supervisors/teachers and students to make reprographic copies of worksheets for noncommercial use. This permission does not extend to copying for promotional purposes, creating new collective works, or resale. "[Your website] has been a treat to use! Many congratulations on such an easy to use and interesting informative site. The fun activities don't lose sight of the real issues and keep the mind on task. Thank you for all your work, we feel sure it makes a real contribution to the conservation cause. 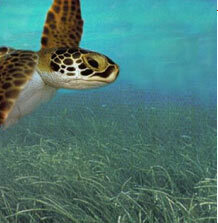 "I am doing a report for school and I believe that of all the sea turtle web sites yours is absolutely the best. You make the information clear and concise. The visual aids provided are amazing. I also think that your methods of education extend beyond the normal flashcard type games and truly test critical thinking but in an enjoyable manner. Keep up the outstanding work!" "...I am currently working on an education and outreach project focussing on the conservation of the pacific leatherback turtles in our area. I have spent quite a bit of time on your website... it is very engaging..."
I am a junior at Shaker High School in the United States. I just wanted to tell you how impressed I was with your website. I am in the midst of a project on the Olive Ridley turtle and your website was so informative and well organised that it helped out quite a bit. No other website that I visited was as detailed as yours. Thank you very much, you helped me a great deal. 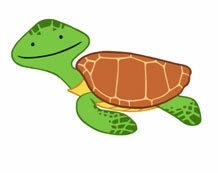 "I've now used the EuroTurtle site with two Year 7 groups. We used quiz 1 with the graphic identification key. Some found it quite difficult as they were mixed ability groups but I'm glad to say that almost all the pupils enjoyed the 'experience' and wanted to carry on in their own time. Most took 'postcards' home to colour in and send to you. I was especially pleased that many more of the limited pupils took the time to do this. I have included a number of letters written by pupils about their experience. Please remember that these are 12 year olds and many have not written letters too often."